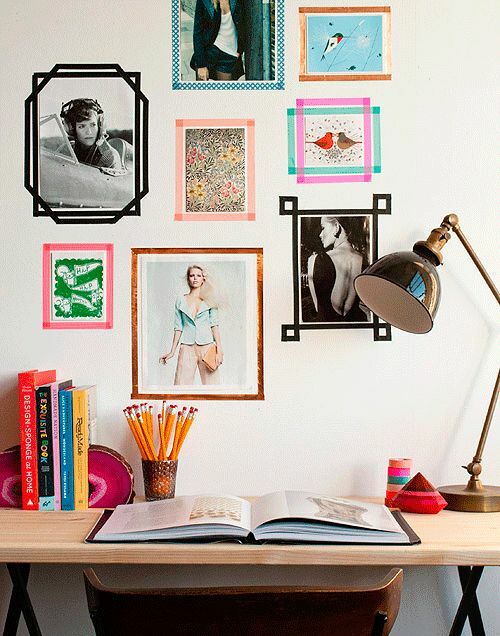 9 Ways to Decorate Your Student Room | Ashgate Furniture Co. Since results day has been and gone, it’s time to crack down on the more exciting parts of leaving school and heading into the big open world: Decorating your own space. There’s always rather strict rules about what you can and can’t do in your student accommodation, but with years of creative students behind you, there’s plenty of tips and tricks to go beat the rules and still add your personal style to your new humble abode. Student rooms are set out for practicality, but there’s nothing stopping you from re-arranging a few key pieces (if there’s room) or adding your own touch through soft furnishings, accessories and much more. Generally, your room will simply feature a desk, shelves, bed and a wardrobe. If you’re one of the lucky ones, you’ll also have your own bathroom – but this tends to cost a little extra, so it’ll depend on your own comfort and desires. 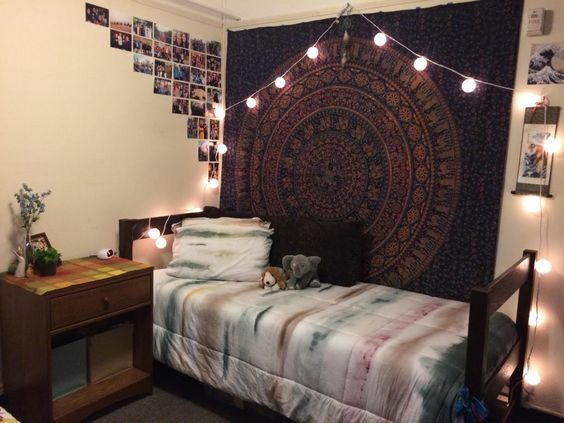 Your room will be a place for studying, relaxing and de-stressing, so the work:play ratio needs to be perfect. 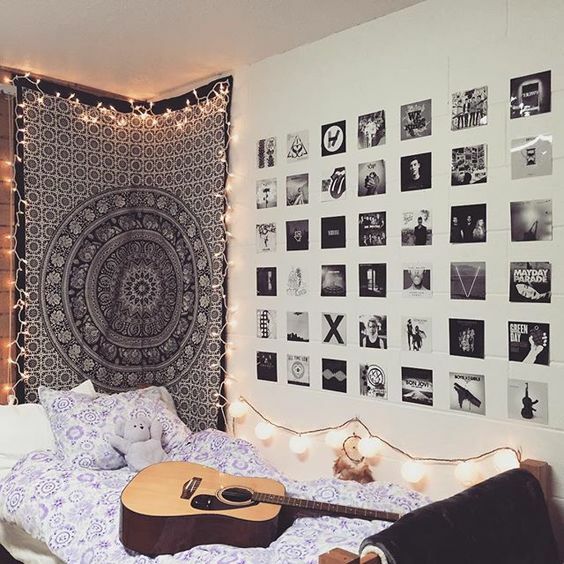 And to help you on the way, we’ve got 10 tips and ideas to help you decorate your student room and get you excited for your new adventure. University Halls prefer you don’t use blue or white tack, as after a year of being stuck on the wall, it leaves oily residue that doesn’t go away easily. 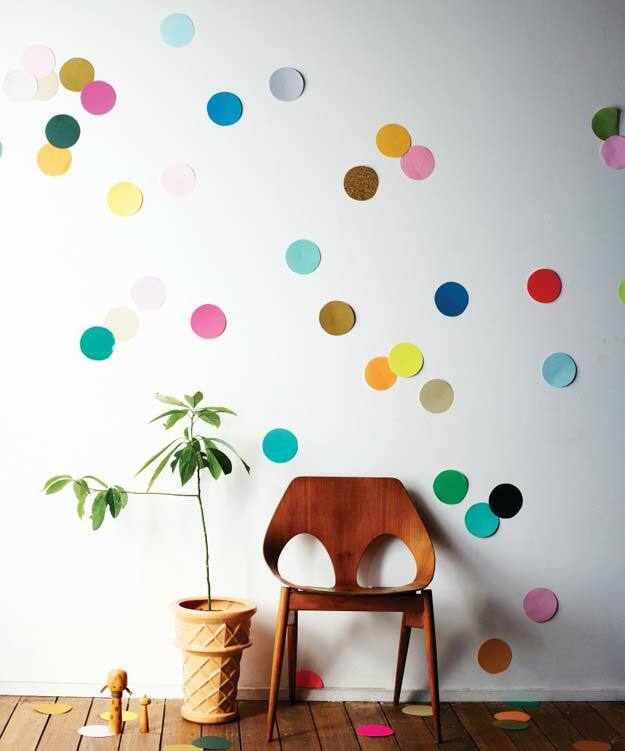 Leave dots and residue can leave you without your deposit refund at the end of the year, so it’s best to use alternatives if you’re looking to pop up posters and art. It doesn’t matter who you are, battery powered fairy lights are a great trick to creating a calm atmosphere in your new room. And, there’ll be no need to get out of bed to switch the light off at bedtime. Sounds great to us. You can get plenty of sets on a budget, and they can be hung pretty much anywhere. Staying motivated and sticking to deadlines can be a tricky task when also balancing the chance to make new friends and sign up for societies that take your interest. 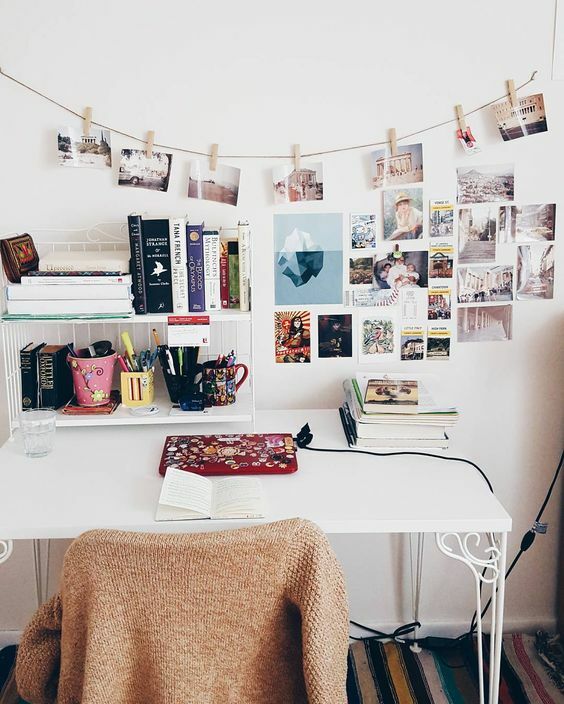 Which means it’s important to keep your work-space inspiring and dedicated to study – so that when you are in the zone, there’s no distraction. Whether it’s additional shelving, photos or even swapping out your computer chair. You’ll find yourself throughout the year adding bits and bobs, tools, stationery and mementos to your student room, so ‘organised’ clutter is definitely a look you’ll be rocking soon. 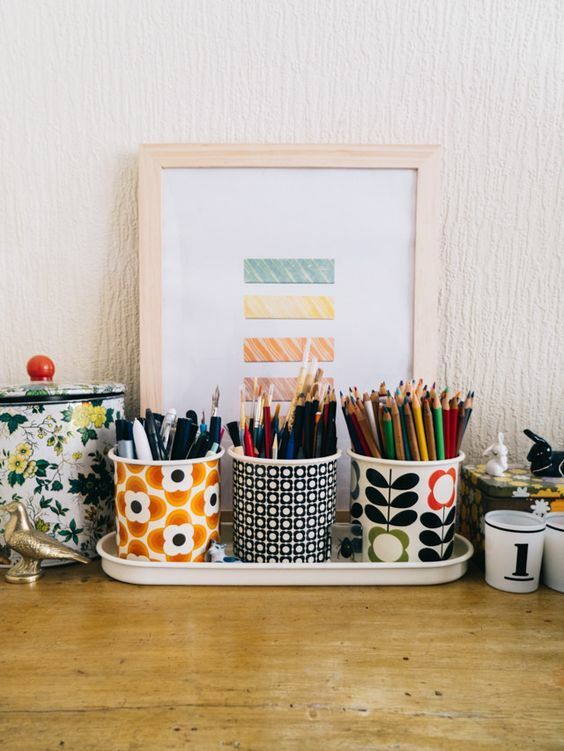 Patterned pots, folders and storage is an easy way to add colour and life into the room, whilst still keeping it pretty practical. If you’re looking for a full statement for your new space, flags and cotton tapestry type bohemian sheets are perfect. They’ll immediately add your person touch to the room, without setting you back a pretty penny. It’s probably the easiest way to create a colourscheme for the room, which you can then build upon with accessories. If you’re looking to do this sort of thing, perhaps check out the natural light in the room beforehand, as Halls can often be pretty dim without the lights on, and you don’t want to darker the room too much. We recently came across this nifty little trick to make your room welcoming for new potential friends. The best gift for a student is definitely a cheap door stop, and in Fresher’s week, and throughout your first year, you’ll spend a lot of time switching from room to room to watch telly and hang out with your new roomies. Showing from the start that you’re ready to socialise can give you a good first step to making friends. However, some Universities may disallow doorstops as they prevent fire-doors from working as they should. 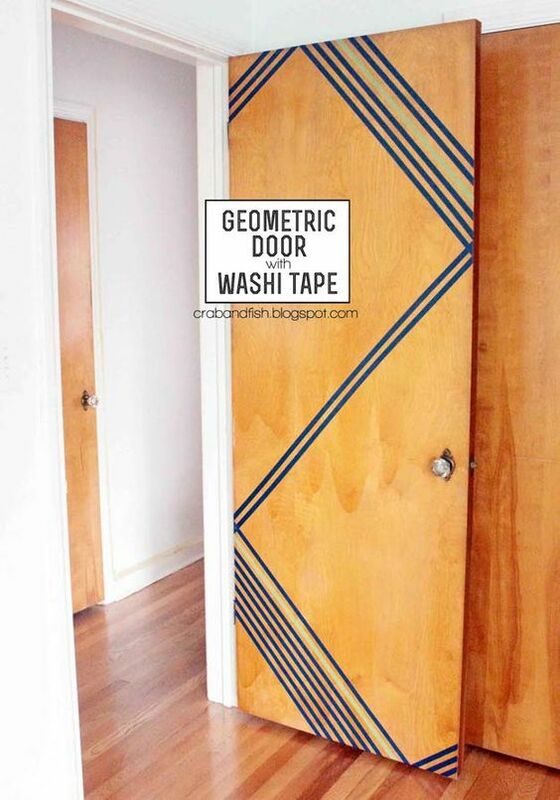 So if you’re limited with the door-opening suggestion, decorating your room door would work wonders to show people your fun and welcoming side. If you’re the creative type, grab yourself some coloured papers and scissors and get creating your own wacky designs and templates for the walls! If you’re a little less creative… and have gloss walls or painted brickwork in your room, grabbing a roll of sticky back plastic or vinyl could easily transform the room. 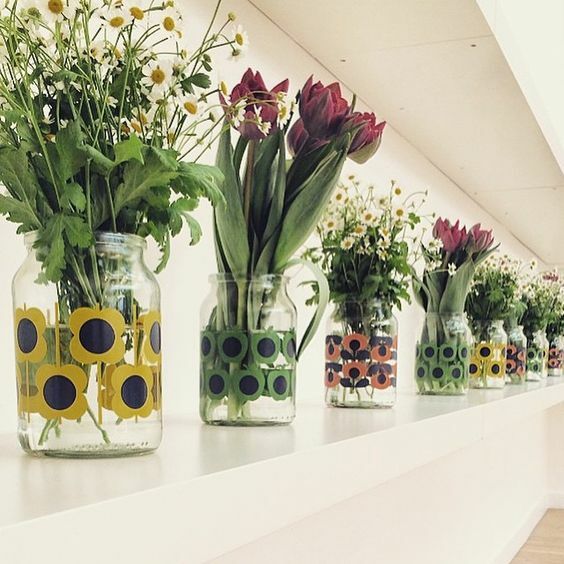 Whether it’s plain shapes, or patterned ‘wallpaper’, it’s definitely a great way to make your room stand out. So, that’s probably plenty to get the ideas whirling and the inspiration leading you to the nearest craft and home-ware shops. If you need a little inspiration for what theme to opt for, check out the STUDENT section of our site to grab yourself a few new bits of storage or stationery.